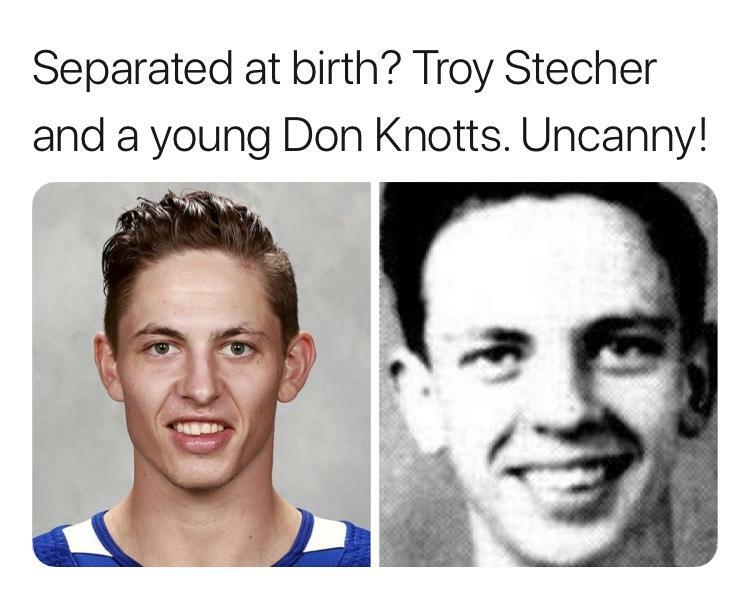 Another nice piece on Troy Stecher. Dell needs more off ice exposure like this! Dell is a class dude, love his passion and attitude. 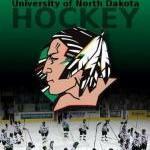 Very cool, love the Sioux stuff all over. The look in his dads eyes is the greatest. Corban Knight with his first goal for the Flyers. T.J. Oshie at the White House. Rhett Gardner Texas Stars, 2 penalty minutes in 4 AHL games. Is this the same Rhett Gardner that played here? Good for him, that's a big contract for what he's been in the NHL. I hope his brother can get out of STL, always thought he'd be a very good 2nd pairing Dman. If he has 0 goals then I'd have to say yes. He has 1, and an assist! so Rhett just needed more bus rides? Byfuglien didn't really impress me with what he did to Caggiula. Rattling around a guy who's 8 inches shorter and 85 pounds lighter is pretty weak. Want to send a message to the Blackhawks? Go bang on Dahlstrom or Murphy or Anisimov, but not the second smallest guy on the roster. Buff had a bunch of punches in before cags even knew he was in a fight as Buff grabbed him from behind. Cags did have him on the ground for a brief second. Not too bad considering the size difference and situation. Buff knocked him down and gave him an extra shove or two, but I think everything after that was in response to the slash that Drake game him across the ankle/foot which is speculated to be the "lower body injury" that has kept him out recently. Byf was frustrated and unloaded (WPG was blowing a lead at the time); Caggiula took the easy counter. I'm still of the belief that Byfuglien should take his issues to the complaint department (6'4" Murphy) and ask them to curb their dog and not just kick the chihuahua. It's not a good look to see the biggest guy going after the smallest guy. I don't disagree, just pointing out why Byfuglien took it as far as he did. On the flip side, Caggiula needs to be smarter than that, especially being a few days out of concussion protocol.